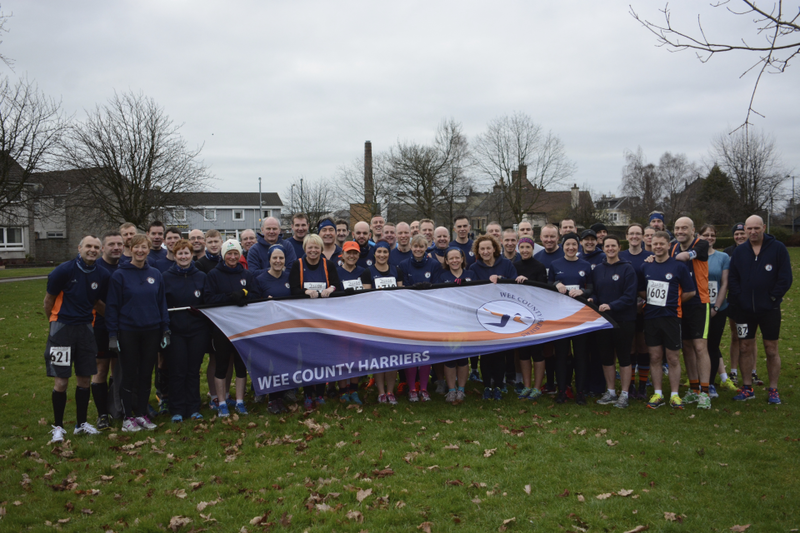 Hi, Welcome to Wee County Harriers Website. We are a running club based in and around Alloa, Clackmannanshire, Scotland. The Club was formed around 16 years ago by a group of local running enthusiasts who wanted to train together and encourage each other to enjoy running and achieve personal goals. At present we have around 100 Members of all abilities and ages (i.e. twenty something’s to sixty something’s). We are a friendly club and we would encourage you to contact us if you wish to come along to training, (See our Contact page). We’d love to hear from you. We also run a Juniors section, which we started this year. It is going great as well and the kids love it. We meet at various places on Tuesday’s and Thursday’s throughout the year, so it’s best if you check out our schedule for the month to see where we will be. Finally, it’s not all about running, there is a social aspect to the club and we occasionally meet up for a night out together where we undo all the good work we’ve done in training by eating and drinking too much.